In the race to become Virginia’s next Governor, Tea Party favorite Ken Cuccinelli has closed the gap to single digits against the Democrat candidate Terry McAuliffe. On Tuesday in Virginia, voters will show that elections have consequences. Terry McAuliffe is the typical Democrat insider. Ken Cuccinelli is the Tea Party-backed nominee. The outcome of this one election sets in place things to come for 2014 heading in to the 2016 elections. If Cuccinelli wins, it gives traction to the Republicans to take seats in 2014. If McAuliffe wins – should Hillary Clinton become the Democrat nominee – it would give her a place to set up base camp for a 2016 Presidential run. 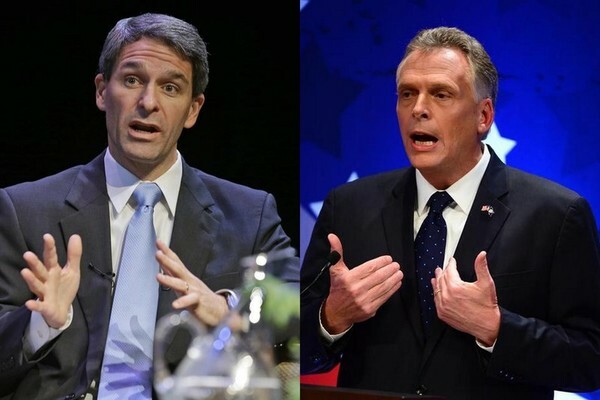 Whoever wins the race has already eclipses previous fundraising for a Virginia gubernatorial race – with Cuccinelli having raised $16.8 million to McAuliffe’s $26.3 million, according to a report late last week from the Virginia Public Access Project. The nonprofit group also reports that roughly 70 percent of that money has come from outside the state, marking the first time in which Virginia gubernatorial candidates have raise more than half of their money outside the state. Elections have consequences and from this you can see who Washington doesn’t want elected.